Tired of getting multiple fake users registration per day? Bothered with fake comments from unknown user accounts? It’s time to fight. 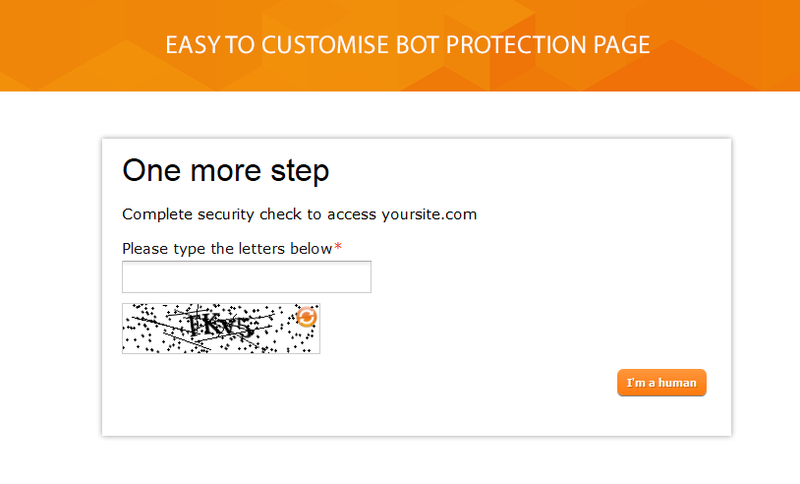 Now preventing spambot registration is easier than ever. 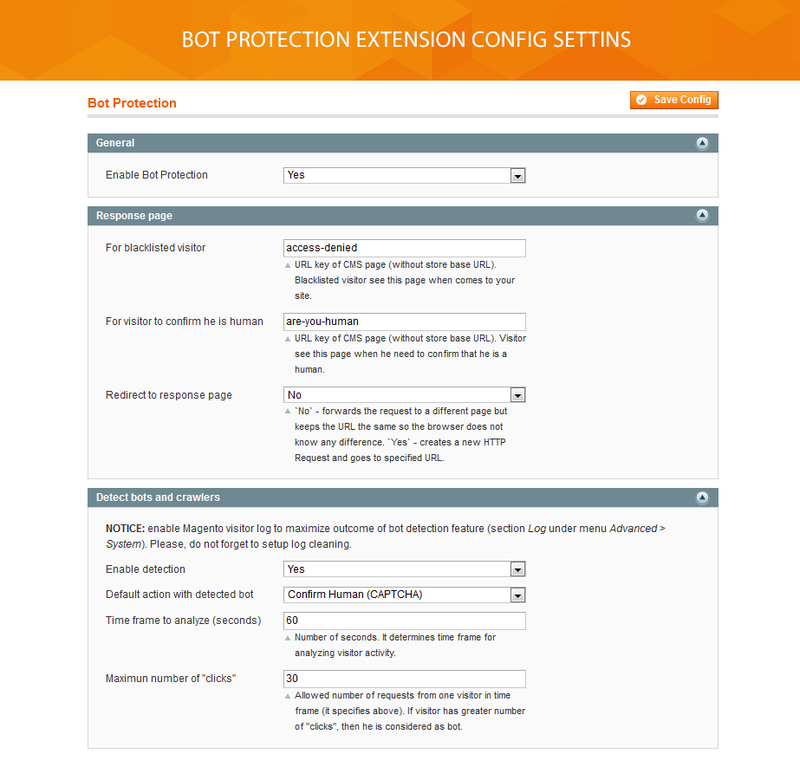 Stop spamming with Bot Protection extension. 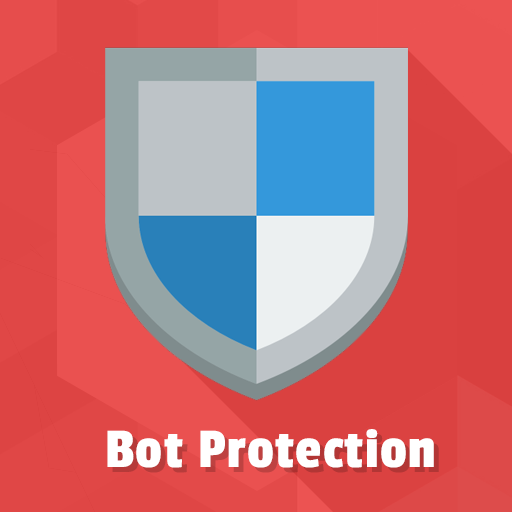 Our module provides you with secure protection from unwelcome visitors like spam bots, crawlers, spiders and other kinds of robots which try to steal your website content. 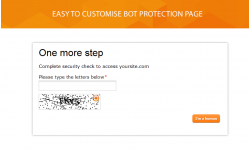 How to stop getting spam with bot protection software? After the visitor was identified as a bot by analyzing user agent string, he will be forwarded either to blacklist immediately or to suspicious list response page with captcha field shown. 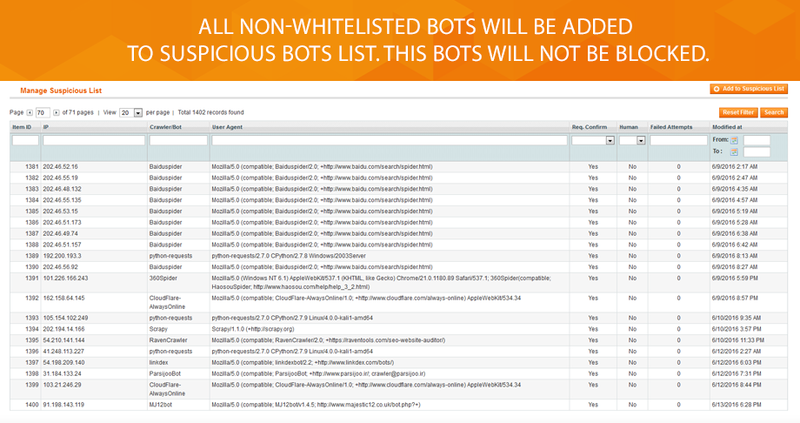 In order to avoid banning Google and Bing bots, Bot Protection module comes with included whitelist IP option. Our module is based on the default Magento Log Visitors functionality so it should be enabled in admin. In order to reduce the number of additional logs data, our extension was build based on the default Magento log visitors information. 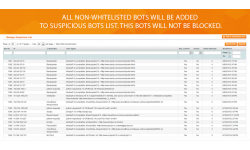 Furthermore, the module comes with additional detection that allows detecting a bot if the user makes the predefined number of clicks per one minute. 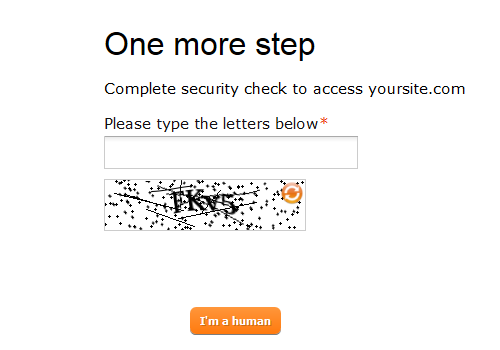 In case of approved detection, the visitor will be redirected to suspicious list response page at once where he will be suggested to confirm he is a human with Captcha field. 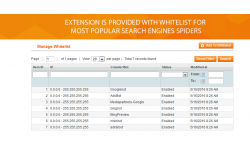 The extension provides you with Response CMS page configuration. The one will be shown as the response for blacklisted visitors. The user will see a note: The owner of this site has banned your IP or your browser from accessing this site. Another one will be displayed for visitors who have to confirm they are human beings. It means they were added to a suspicious list. This response page is aiming to complete security check to access your website docs. Both pages can be edited in the admin panel. Prevent new lines in nested elements, when modifying DOM structure. 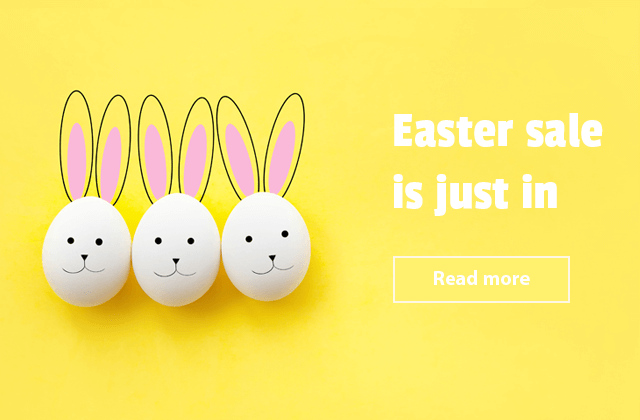 Escape closing tags in inline js when parse html. Do not save parsed html if nothing was changed. Fix Warning: Missing argument 1 for _redrect(). PHP code cleanup to pass MEQP validation. Fix sorting by IP in admin grids. 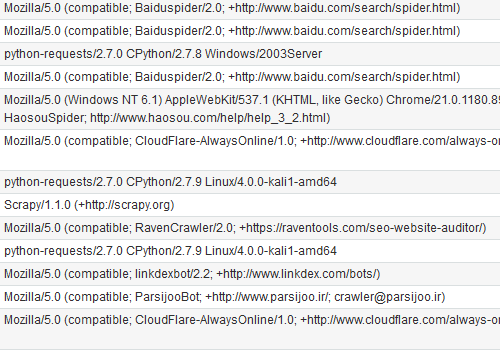 Improve compatibility with third-party extensions - Firebear_CloudFlare.